Sunshine State Sarah: I Smite Thee, in the Name of Andrew! We miss you, happy warrior. We lost Andrew Breitbart just over a year ago. Since then, there have been endless discussions about how best to honor his memory, pondering over whether anyone could possibly fill his shoes. As I look back over the past year, I'm sad to admit that I think we as a conservative movement are doing a very poor job of carrying on Andrew's legacy. Now, I don't claim to speak for Andrew. I never worked for him and I certainly wasn't one of his inner circle. But I was privileged to get to know him during the last year of his life. One of my all-time favorite interviews ever was the one with him about his book, Righteous Indignation, and I spent time with him at CPAC Florida and CPAC 2012, and saw him speak at countless other blogger conferences and conservative gatherings. I think it's fair to say I was able to observe a lot about what made the man tick. I admired him greatly and considered him a friend, as did so many others who describe him in terms very similar to what I'm writing here in this post. One of the best qualities about Andrew was that he was exuberantly, enthusiastically, almost overwhelmingly, encouraging. Thinking about blogging? Great! He'd tell you to just start writing, and often invite you to submit story ideas to his websites as well. Have a story you want to investigate? Andrew would tell you to just go for it, and probably introduce you to someone who could help you. Remember his constant reminders that all we needed was a smartphone and we were all investigative reporters? Anyone who heard him speak at any of the conferences noticed he was so talented at not just getting the crowd fired up, but fired up to go do something, specifically to do something that expanded the reach of the conservative message. 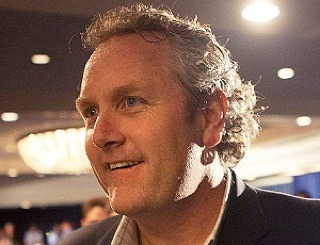 Andrew Breitbart was a one-man cheerleading team for the entire conservative movement. He was a walking, talking idea factory, going a million miles a minute, wanting everyone to write, organize, knock on doors, launch investigations, research history and legislation, even run for office, just go, go, go. Hearing that someone had decided to get involved - in whatever way they could - always brought a grin to his face. My point that I'm trying to make is that Andrew was inclusive, not exclusive. The more people active in the conservative movement, the more people writing, and showing up, and making noise, and the more places and venues they were, the better. Lots of voices in lots of places doing lots of things. Now, Andrew wasn't some benign, passive character. He viewed a significant part of the mainstream media as failing America, being negligent in their duty to tell the truth and ignoring valid issues that contradicted their political views, and he didn't pull punches when pointing that out. He also didn't shy away from fighting the battle on the enemy's turf, happily going on Bill Maher's show and giving interviews to those who were openly hostile to him. The important thing to remember, however, is that his fight was directed at the left, the mainstream media, and those who were being dishonest. The whole idea behind the hashtag "#WAR" originated with the trailer for the Hating Breitbart movie, where he railed against those who would use political correctness as a weapon to shame people who disagreed with their views into silence. "Truth isn't mean, it's the truth," he famously said, and he relentlessly fought for that principle. Anyone who asks questions before blindingly devoting their time and money to the latest conservative cause du jour is accused of being a RINO, an establishment hack, or worse. These things are being done by people who have Andrew in their profile pictures, who are supposed to be carrying on the Breitbart legacy, who are using Andrew's favorite hashtags in their attacks, who cite Andrew as an inspiration every chance they get, who mention something Andrew did or said years ago as if it gives them carte blanche for them to act without consideration or restraint now. We all tweeted away after he died, "#IAmAndrewBreitbart!" but the brutal truth is none of us are. We are not honoring the man with these actions. Whether we are engaging in this behavior ourselves or tolerating it in others, We Are Not Andrew Breitbart, and it makes me sad. We do not honor him by trying to exclude each other, by trying to silence each other. We honor him by using our own voices to tell our story, and encouraging others to use their voices to tell their stories. Andrew's voice should be one that inspires others - many others - to come forward. We don't all need to sing the same song, but I cannot believe he would want any of us to tell others not to sing. More voices, more people, in more places, more, more, more.